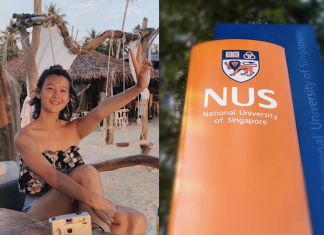 The official website to showcase the most significant party of the year is an embarrassment, says an IT architect with NUS. 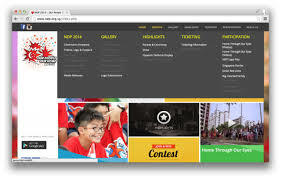 Lai Zit Seng, who is also a tech blogger, has drawn up a laundry list of the National Day Parade website’s flaws ranging from security, design, non-existent mobile site to poor HTML coding. “We are a nation that’s strong in ICT capabilities. But we put up such a website for the most important national event. This is an embarrassment,” he says in his technology and lifestyle blog. The website that is set up for Singapore’s largest annual event has also received widespread complaints over the Internet, Lai told The Independent Singapore. He explains that the biggest problem lies with the ticket balloting submission, which requires individuals to provide their NRIC and phone details. It does not use Secure Sockets Layer (SSL) to encrypt the data. He said: “If you don’t encrypt, then there’s a possibility of these details being stolen. The network engineers who have access to the data between user and server can potentially snoop the traffic. But he notes: “To be fair to the NDP website people, many other sites would do the same thing. Over the last two years, there has been a heavy emphasis on greater security of personal data in Singapore with the implementation of the Personal Data Protection Act and Do Not Call Registry. It would only make sense that a national website, home to the largest annual event in Singapore, should take similar efforts to protect people’s personal details. The website’s design fares no better. The photos and files are inconsistent. Some appear to be ZIP files, while some are PDF. Worse still, many links have no real functions yet. “There’s no excuse for so many links to be not working. There are a total of 29 links in that drop-down panel, 15 of which are greyed out. That’s more than 50 per cent of the links not working,” Lai said. The website uses an old version for its HTML coding, the XHTML 1.0 Transitional. This would result in “possibly different browsers rendering the page slightly differently” said Lai. “It is like writing a program. Any programmer can do it. But you expect a professional programmer who is paid well to care to do a good job.